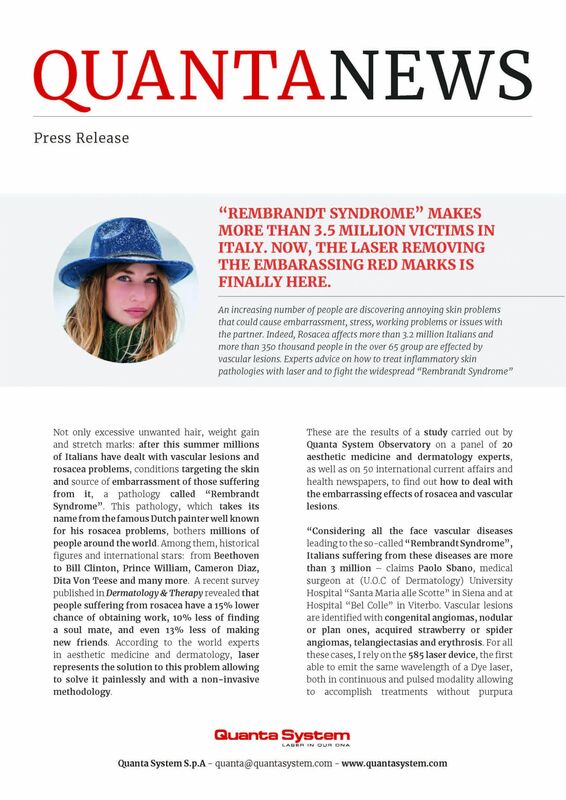 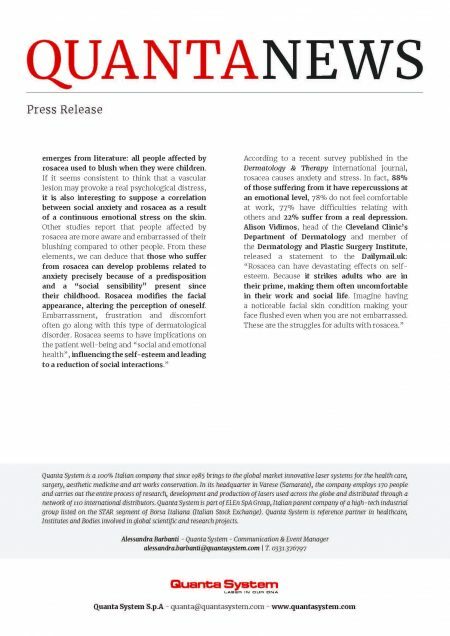 “REMBRANDT SYNDROME” MAKES MORE THAN 3.5 MILLION VICTIMS IN ITALY. 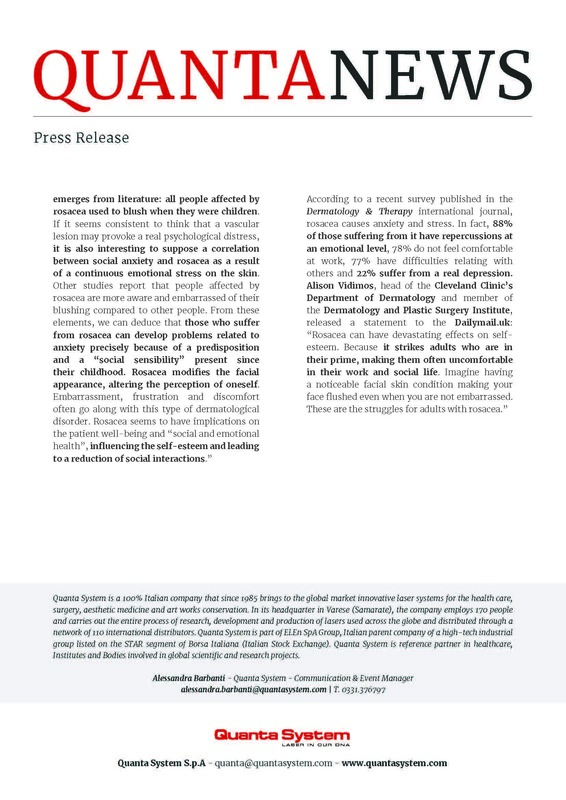 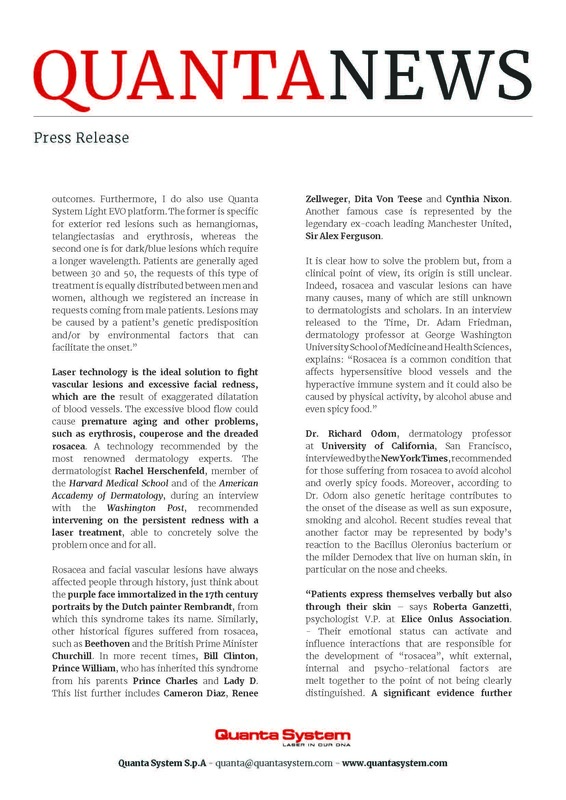 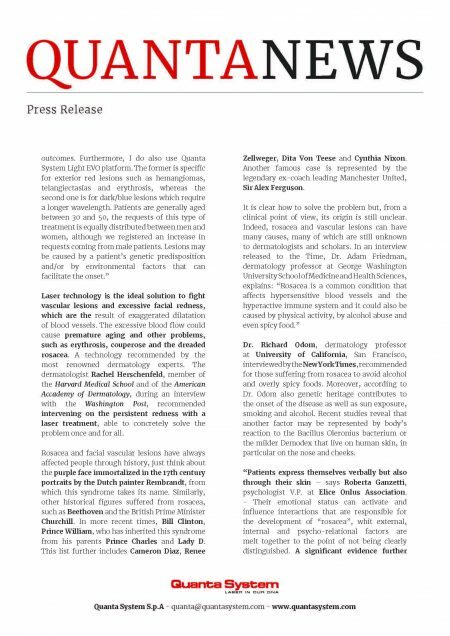 Quanta System: Macchine Laser > Multimedia > Media Release > Aesthetics > “REMBRANDT SYNDROME” MAKES MORE THAN 3.5 MILLION VICTIMS IN ITALY. 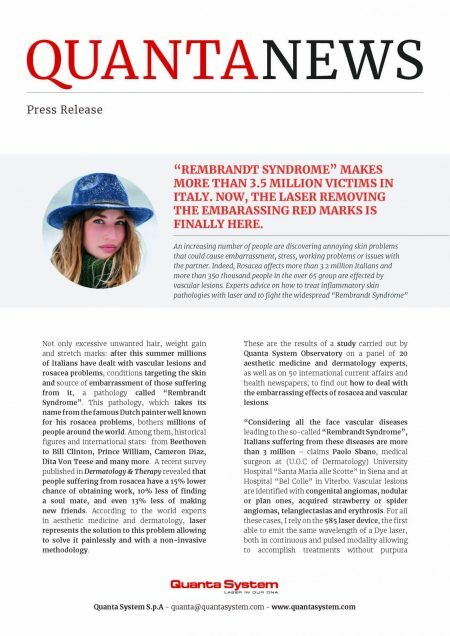 “REMBRANDT SYNDROME” MAKES MORE THAN 3.5 MILLION VICTIMS IN ITALY. 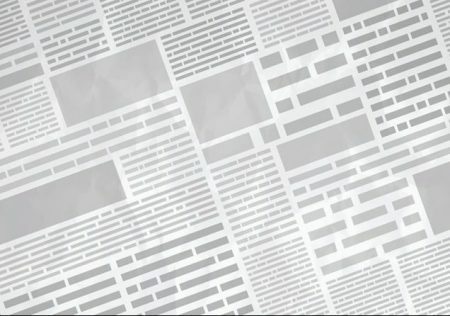 NOW, THE LASER REMOVING THE EMBARASSING RED MARKS ISFINALLY HERE.